Find out what you need to know about these healthy foods for your heart. 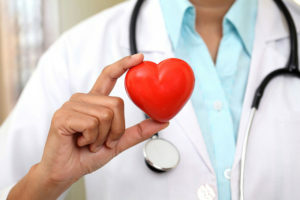 When it comes to your health, it’s important that you take good care of your heart. A healthy heart is a must when it comes to leading a long, active life. While exercise can help to keep the heart healthy, it’s important to pay attention to your diet. Don’t underestimate the effect of your diet on your health. Ensure that you eat the right foods, and check out these healthy foods for your heart. When it comes to promoting heart health, bright yellow, orange, and red vegetables like red peppers can help to improve your heart health. These foods have carotenoids and various vitamins that help to keep your heart healthy. Fish may be fatty, but it’s a healthy fat. Fish are high in omega-3 fatty acids. Eat a serving of fish such as tuna, salmon, trout, or mackerel twice a week to help keep your heart in good health. Not only are these fruits delicious, but these fruits are good for your heart. Full of antioxidants, essential vitamins, phytonutrients, and fiber, berries make a great addition to a person’s diet when they strive to be heart healthy. When it comes to eating healthful foods, nuts such as walnuts or almonds can help to improve your heart health. Nuts are full of omega-3s which can benefit your heart health. Beans and lentils are good for your heart. Packed with plenty of protein, fiber, and vitamins, beans such as black beans and kidney beans are a great addition to your diet. Make your health a priority. Check out these healthy foods for your heart and invest in the right insurance. Contact the professionals at Robert J. Los Insurance Agency to find you the right insurance plan. Located in Hamburg, New York, we serve all your personal and commercial insurance needs.